Kaya toast was first introduced to me around three years ago during a short trip in Singapore..and I must say, after that, I never looked back. 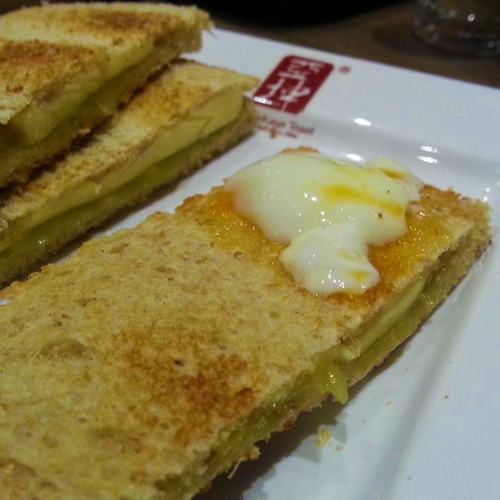 A perfect butter toast will not be complete without a spoonfull of kaya jam. Every time I have a friend going to Singapore, a kaya jam for Kenneth is always in their list. When I saw a suggested page in my facebook, advertising Ya Kun Coffee & Toast, my heart skipped a bit…will it be?…is it?..YES IT IS! The famous Singaporean dish has now landed in Dubai and within our reach (I hope this is not a dream). This is what I love about Dubai now, it seems that the cuisines of the world are all on their way here in the sandpit. Last night, along with some of my friends we all head to IBN Batuta where the newly opened Ya Kun Coffee & Toast is located (plus we have some creative meeting so it was just appropriate for us to look for a cozy place to stay). 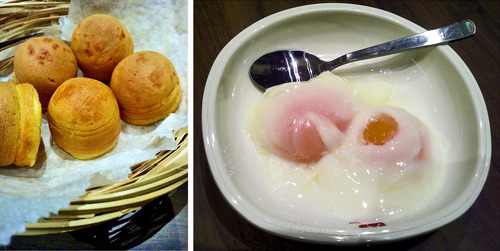 With high expectations, I ordered their famous set-meal which is composed of: Singaporean coffee (with condense milk), 2 soft boiled eggs and their famous KAYA BUTTER TOAST. The whole meal price is 23dhs. We were so happy that during dinner/snack/meeting we got to meet the manager, Mr. Mohammad. He told us about his amazing ideas for the shop and he was also generous enough to offer us a yuanyang coffee (milk tea with coffee), green tea frostyz, kaya balls and a weirdly tasty (and brilliant) tom yum sandwich. All in all, although we were not really expecting it (cause we thought we’ll just be sharing kaya toast slices), we ended up having a full happy tummy and tasted an array for Asian favorites with a Ya Kun twist. We will surely come back to this place; all geared up with our cameras, notebooks and empty stomachs as we’ll try all their specialty sandwiches, drinks, desserts and varieties of Kaya Toasts (I am excited for this). For those who are curious if they are selling Kaya Jams, they said that it will be available soon, so let’s just wait for their announcement in their FB page. You can check their facebook page by clicking this link. 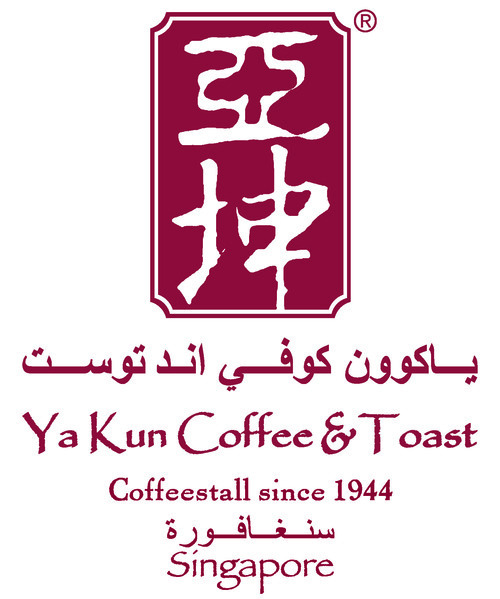 Ya Kun Coffee & Toast is located in IBN Batuta, China Court. To know a bit of their history, hit play and watch the video below. Ya Kun Kaya Toast 亚坤 – The Toast that Binds … Kinship, Friendship, Partnership from Ya Kun Kaya Toast Singapore on Vimeo. Hi! I’m a Singaporean and I’ve been living in Dubai for 9 months now – no kaya spreads in sight! Ya Kun is closed, is it not? Do you know of any stores that sell kaya spreads? I’m in dire need – help! aaaw yah Ya Kun is already closed. Unfortunately I dont know if there are other places where you can find one. You can make one though? I have a malaysian friend who was living in Dubai and during that time he makes his own KAYA. Also, maybe you can try some Indonesian / Malaysian shops in Karama.